at the ends of the tree branches. and the days are getting a little longer. are emerging from the rain drenched soil. Life is waking up ~ ever so gently. I have a confession at this point: This Winter I burnt out. It feels so vulnerable to say it, but yes, in the midst of hosting a Winter immersion on “Radical Self Care” I managed to burn out! I worked too many hours in my two jobs, I took on too many commitments and I was left feeling totally pooped. Despite all the self-nourishing practices we did together as an amazing circle of dedicated and soulful women in December. Despite all the incredible self care wisdom that came through you wonderful sisters, I still pushed myself a little too far and was left managing digestive flare-up after flare-up throughout the holiday season. Be extra, super, beautifully gentle with myself. I’m going extra slowly, taking more breaks, and doing everything I can to be kind and not add to the challenge by beating myself up! (Know that one?!). The truth seems to be that for so many of us consistent Self Care is one of the most challenging things to attain in this busy, bustling world we live in. 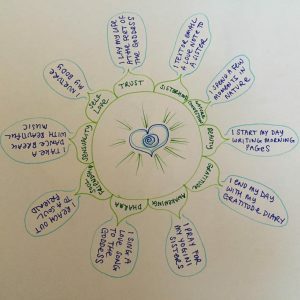 So, I thought I’d share a rich, totally simple and very practical visioning practice that can help us to envision the year ahead, and how we can make it a year of self nurturance and deep healing. I loved doing this for myself and my life and I’m already seeing the beneficial effects even in just two weeks. I’m going to use it as my guide and compass this year, to support me to truly make this a year of self nurturance and self care, and I invite you to do the same. This five step practice will be most fruitful if you give it 20-30 minutes of your time. Step One ~ Take five minutes to write down some of the values that are most important to you. Step Two ~ Circle the five that feel most important for you this year. It’s best not to over-think this part. Take a deep breath, settle into your body. Trust yourself and your instincts. Step Three ~ Draw a circle of a piece of paper and write these five words around the edge of the circle. 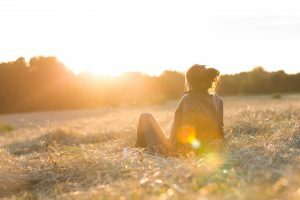 Step Four ~ Reflect for ten minutes on a simple, practical action you can take each day, that will help you live these five values in your life. It’s great to make it something that you tend to do anyway; such as taking a five minute tea break in the morning, or a short walk in nature, or calling a friend. Once you have your five practical actions, write them next to each word in the circle. Step Five ~ This is the most important step! 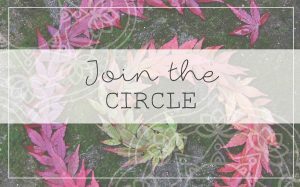 Use this circle to guide and support you – not to beat yourself up. It is simply there to help nudge you back into self care when you have fallen off your rhythm. Put it up on your wall, and when you have a bad day look at it and use it as inspiration to come back into a gentler kinder rhythm with yourself. 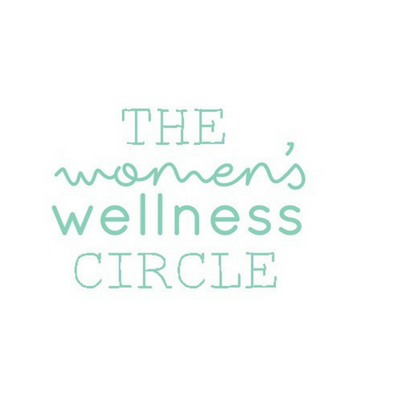 If you like, you can empower your Self Care Compass by sharing it with your sisters in our Women’s Wellness Circle private facebook group. ps: If you’d like to be guided through this practice by Sophie, we invite you to join us for our free online retreat this Friday 3rd February. You can find out more and take your seat here. pps: Here is my Self Care Compass to inspire you. I chose ten values and ten commitments because clearly I extra-specially need to learn self care this year :). Do you know any big, hearted, courageous women who are healing from chronic health challenges? Share this blog with them and spread the love ~ they’ll thank you for it.